MAILWASHER PRO VERSION 5.0 RELEASED! One of the major changes is support for a new trait based bayesian spam filtering engine. Trait based filtering ensures highly accurate spam detection by identifying the traits of spam emails aided by training from the user. Greatly improved spam catching ability! Traits such as mispelled words, garbled words, white text on a white background are some of the more than 50 traits built in to MailWasher Pro's new bayesian filtering. The Bayesian system learns and adapts from what the user considers spam. MailWasher Pro is fully trained after training 100 emails by the user. This version also includes full unicode support to display foreign character sets. 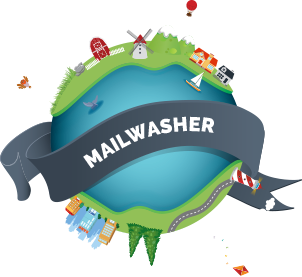 Users who upgrade from earlier versions of MailWasher Pro will need to re-train their filters, but will see significantly improved results in a short time.